There's an extended cut of Deadpool 2 coming. And a few lucky fans will get to see it early at this year's Comic-Con, which kicks off in a little over a week. Wade Wilson is hitting San Diego hard this year. 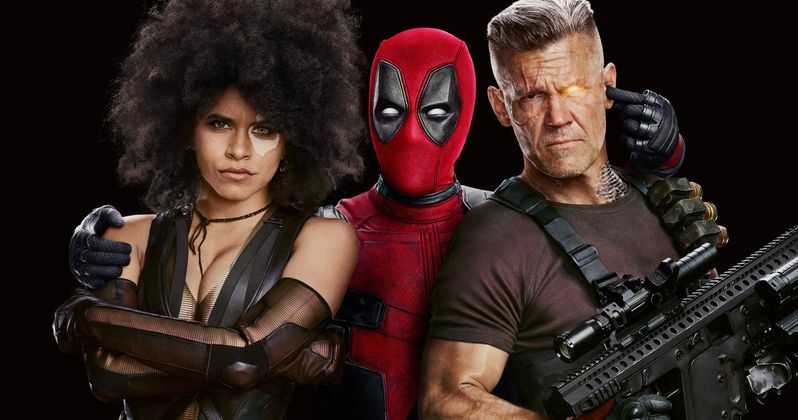 Even though the blockbuster sequel already debuted in theaters, it's getting a Hall H presentation that will included a Deadpool 2: Uncut screening. Fox had big plans for 2018 in terms of its Marvel mutant movies. Three X-Men adventures were to be released this year, but both Dark Phoenix and The New Mutants were delayed. That meant that Deadpool 2 was their only saving grace. Thankfully, it proved to be a big hit. And now fans are going to be treated to some special surprises and a lot of hilarious bonus material that may come as both a shock and surprise. The official SDCC site has confirmed its Saturday line-up for July 21. And the day will include a lot of Deadpool. The Deadpool 2 panel is hitting Hall H from 5:15 to 6:15. Fox then scheduled an end of the day treat with the first ever screening of Deadpool 2: Uncut. It is described as such. "A super-duper special screening of Deadpool 2 and maybe some surprises." This isn't the first X-Men movie to get an extended cut premiere at Comic-Con. Fox also brought X-Men: Days of Future Past Rogue Cut to the convention center back in 2014. And it proved to be a big hit with fans. Though, that movie was quite tame compared to what is expected from an uncut Deadpool sequel. This thing is definitely going above and beyond its theatrical R rating. Earlier this year, director David Leitch confirmed that an extended cut of Deadpool 2 was coming. But he wasn't sure how, when or where it would ultimately be released. It's expected that the Uncut version will now be included on the first Blu-ray release of the movie later this year. So fans not at Comic-Con will eventually get to see it for themselves. Deadpool 2: Uncut is confirmed to include a suicide montage featuring Wade Wilson. No other details about the extra footage have been revealed at this time. Its expected that the Deadpool 2 panel will be used to make some X-Men announcements. Some believe that the Dark Phoenix trailer will finally have its debut at this panel. However this all shakes out, the Comic-Con Deadpool 2 panel sounds like one that can't be missed. The official San Diego Comic-Con website was the first to announce this special screening.